Item Number: 810-2-134 19219 Actual Weight: 1.5 lbs. 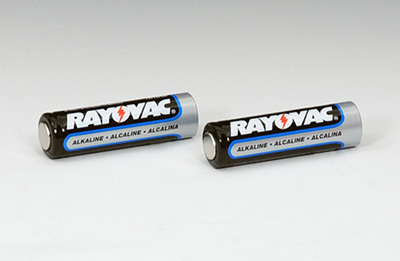 Alkaline batteries with Ready Power Technology help to increase shelf life. Guaranteed fresh for 10 years (5 years for 9 volt). Made in the U.S.A. and contains a mercury-free formula.